Looks Like Spring is Here! What Happened to Winter???!!! | Sonoran Gardens, Inc.
Looks Like Spring is Here! What Happened to Winter???!!! Hello fellow gardeners. It’s time to gear up for warm weather! Woody plants such as Bougainvillea and Lantana should not be cut back until threat of frost has past. Cut back shrubs that need rejuvenation 12″-18″ from the ground. Shrubs that could benefit from rejuvenation cut back would include: Texas Mountain Laurel, Oleander, and Hop Bushes. Shrubs that need just clean up can be achieved by removing base branches and/or unproductive branches within the canopy. If any of this is not in your area of expertise, please call our staff at Sonoran Gardens to learn how we can help you with a custom designed maintenance plan. Yes, you can have color in the hot Arizona summer! The soil should always be moist to the touch, but not so wet that water is filling up your saucers. The Sonoran Gardens Contained Gardner irrigation team can set-up your irrigation system if needed. Make sure your irrigation controller is adjusted for spring & summer. Your plants need extra water with the high temperatures and low humidity. Inspect your irrigation system for leaks, breaks, and clogs. You will be running your system more frequently and any leaks or breaks will end up wasting a lot of money. In addition leaks and breaks can create unsightly wet spots and mud puddles in your area. Clogs in your system during the hottest time of year will restrict water to your plants and can result in stressed and dying plants. Listen to your plants – they will show you if they need water. Look for leaves that are turning a lighter shade of green or yellow, dull wilted, drooping, or curling leaves, stems or branches dying back. Be cautious of heat wilt. At the hottest part of the day many plants will experience heat wilt. Their leaves show signs of wilt because they are tired from reflecting the sun all day. These plants are not dying or under-watered; once the day begins to cool they will perk back up. Think about how you feel after a day in the sun – it can be exhausting! Use your finger to test the soil around the plant; if it is moist your plant is probably experiencing heat wilt. Program your controller for the season. 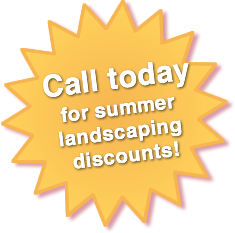 Most landscapes will require time and/or days added to the irrigation schedule for the summer months. Knowing how much water your plants require and how much water your system puts out is integral to programming your control. You can visit Arizona’s, Water Use It Wisely website for some great basic tips to determine how much water you need. In addition, reference your irrigation controller’s user manual they typically provide information on appropriate programming. If you need assistance programming your system, or are experiencing any issues, Sonoran Gardens can help you out with that. Call today – 520-579-9411. Or contact us. Don’t forget, it’s not just your plants that need water in these temperatures. Make sure you always have water on hand and are drinking plenty of it throughout the day. Sonoran Gardens Landscape Design & Construction is a complete landscape design, landscape construction, custom care landscape maintenance, irrigation and lighting repair firm serving Tucson, Oro Valley, Catalina Foothills, SaddleBrooke, Tanque Verde, Marana, Vail, Sahuarita, Green Valley, and Southern Arizona.